Not so in Mexico. Maybe it’s partly financial. In Mexico, your counterparts, teachers, psychiatrists, property managers, marine biologists and lawyers, make a fraction of what they would in the United States, even with parallel educations. Instead of converging for evenings in bars or restaurants, they hang out together in homes and in the streets. My last year in Denver before embarking on the two-country lifestyle, I let my friends know I was putting a moratorium on eating dinner out (expensive, not healthy and nearly always disappointing food). We were flummoxed. Eating and drinking out is the default activity of busy, busy people. They drew a complete blank when I told them I really wanted to see them but that that particular activity of $50 dinner and drinks was off the table. Proposing a “non-event,” working on a project together, trying a new recipe or playing cards would have felt like I was asking them to run an errand with me. With so many options in a big city, people's threshold for mundane activities is low. In Mexico, people drop by unannounced. My Mexican friends will hang out in my home even while I am unpacking groceries or showering and dressing for the evening, content to sit on my couch quietly while I blow dry my hair. I get the sense they are not thinking about where else they should be, what else they should be doing or why can’t I speed things up. They are hanging out with me. Reminiscent of the kind of things we did in my younger days, during the last day of the blood moon and with no training whatsoever, I led a group of Mexican friends in a yoga class. We gathered in the dark on the stone patio facing the ocean and scrambled around trying to keep candles lit. They and their teenage children happily followed along even though I didn’t know how to say upward facing-dog in Spanish and had to call out poses in English from a sheet of paper on the ground by the light of a flashlight. We used towels for yoga mats. A girlfriend who is a therapist then led us in a meditation. Afterward, I iced a milk chocolate cake and we sat around and talked, drank wine and ate cake. That was enough, actually a pretty big night. One I won’t soon forget. Hosting something similar in the U.S. would have required reserving a yoga studio, hiring a personable yoga instructor, and following the yoga class with a yoga wear fashion show. And I’d still get only 50% attendance rate. We are novelty junkies. We've forgotten how to hang out. Even with my far less than perfect Spanish, friends in Mexico have gone with me to pick out a new perfume, taken me to take night pictures for my website, and taught me how to make tortillas and flan.I’d never ask my American friends to do any of those types of things with me, and I’m not sure exactly why. Once in Mexico, I mentioned in a text that one day I wanted to go to a garden shop and replace a plant in my apartment. She showed up a day later and we enjoyed an amusing hour of trying to find a flowering plant that never needed watering - ever. After that, I found myself with her at an upscale mall. I asked what we were doing there. She said that she remembered my mentioning I wanted to go shopping with her one day. So there we were. Such spontaneity is not specific to this friend. Other Mexican friends exhibit the same. My American friends decide what we're going to do first, then we get together. My Mexican friends come over, then we decide what we're going to do. It has been suggested to me (sniffed at) that perhaps my Mexican friends aren't as busy. Given what I know about their lives, I don't buy that. I believe that they have a different concept of time itself. My Americans’ friends' focus on doing and not being is obviously not a character flaw, but rather the normal response in the cultural context in which we live. Requiring a high level of stimulus and novelty is a trait of “successful” people. If they said yes to my little errands, perhaps I might think they didn’t have anything more important to do. For many years I was as guilty as anyone, judging every activity by the activity itself rather than the people involved and the value of simply spending the time together. We Americans do get a lot done, but what will we remember from those days? Don’t you vividly remember the crazy projects you undertook when you were too broke to simply throw money at every unfulfilled desire? You banded together even in the most irrelevant tasks just to hang out. Remember the Halloween costumes you and your friends made? The walls or unpainted furniture they helped you paint? Our individual activities were more simple too. Part boredom, part being broke, we used our imaginations and banded together. We hung out more. We don’t have time for those things now in the U.S because we have more important things to do. We buy the furniture painted, we eat out in restaurants and we pay the $20 to have others clean our cars for us. Then we go out and spend $100 for the opportunity to see our friends. A few months ago while still in Denver, I over-heard a trainer at the gym talking about his girlfriend, saying to his client that she didn’t exercise but was plenty active, waking up in the morning with a long list of things for them to do. He wondered aloud with his client if he really needed to do all those things every day. The answer is that he doesn’t. He just needs to choose to do a few of the most rewarding things with complete awareness, the way we do in Mexico, and hang-out a little more. Next up: You are in Mexico, not a campground. How to dress like a (cool) Mexican, que padre. Most recent: Sometimes Americans need to be knocked over the head about Mexico and Mexicans. The column, "Ask a Mexican," does just that. 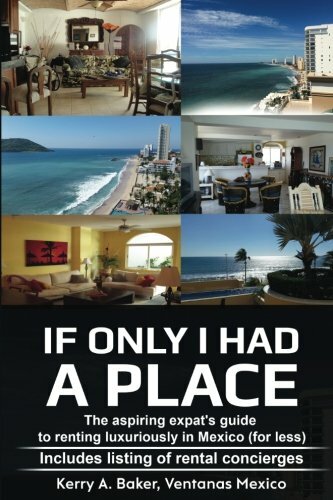 Kerry Baker is a partner ith Ventanas Mexico which provides insight and resources to those considering expat life in Mexico, including "If Only I Had a Place" on renting luxuriously as an aspiring expat. 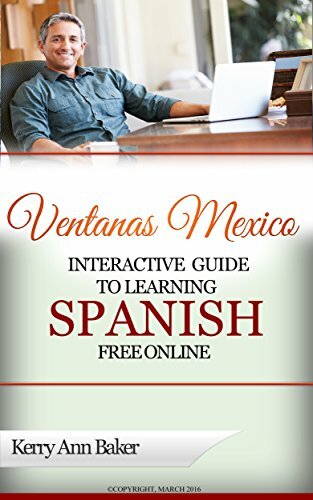 She also wrote the "Interactive Guide to Learning Spanish Free Online," a curation of the best Spanish language tools on the web. Learning to really converse takes several years. If you're thinking about Mexico, start now. The worst thing that could happen is that you don't move and have a better brain!